Is there an alternative worm treatment to Carbendazim? There's no getting away from the fact that, as a nation, British gardeners have come to encourage insects and bugs rather than kill them. For the home owner, having worms in a lawn isn't a major issue as they provide food for birds, foxes and badgers. 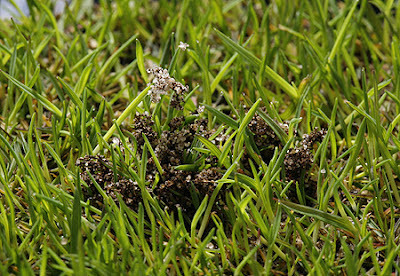 However for the serious lawn enthusiast, professional green keeper and groundsman, worms in fine turf are more than an unsightly mess.